Most of us rely on our washing machines to do the tedious task of washing our clothes. From regular wear like t-shirts, tops and pants to heavier clothes like towers, bed sheets and curtains, these machines have made our lives easier and better. It makes sense, therefore, to keep these machines running in good condition. 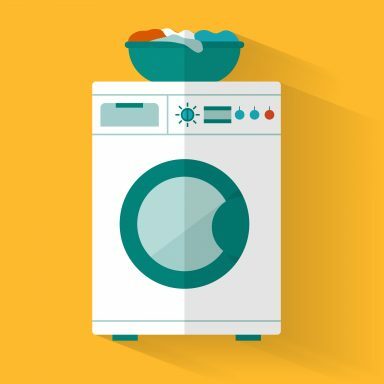 Regular washing machine maintenance goes a long way in helping these machines last for years to come. The truth is, you or your family can do most of these things right at your home. Here are a few maintenance tips that will help you to take care of your machine better. People expect their washing machines to give 100% every time. However, this is not always the case. 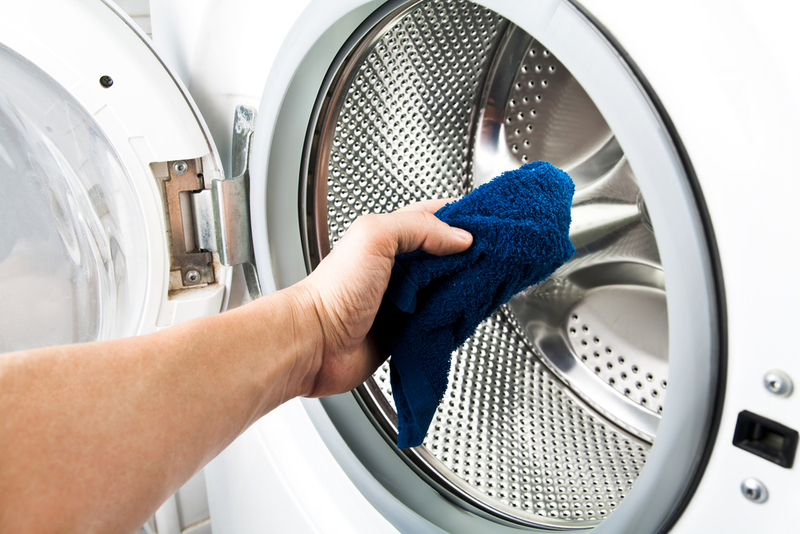 Washing machines problems occur and the appliances start to lose their efficiency after a point of time. You may notice that your clothes are not coming out as clean as they used to when the machine was new. The main reason behind this is the scaling that occurs due to the micro-residuals present in the water. This can be a big issue in areas that have hard water. In such a scenario, you should deep clean your machine a bit more. Use a strong machine cleaner that is able to remove all the scaling without damaging the metal and plastic parts of the appliance. This does not necessarily mean you have to buy the most expensive machine cleaner in the market but also buying the cheapest one is not advisable. This is an important part of your machine that suffers a lot of wear and tear. The rubber gasket wraps the edges of the washer-dryer and protects your clothes from damage and your hands from any sharp edges. Be it a front load or a top load machine, some amount of micro dust particles enter it every time you open the door. These dust particles usually gather on the edges and sides of the gasket. The detergent and softener particles also leave residues on the gasket. Being located outside the tub, it suffers from regular spills but remains unclean as we tend to ignore it completely. This is another reason you should regularly clean the rubber gasket with a damp cloth. Doing it once a week should suffice. New looking and clean home appliances enhance the appearance of your place. However, an old washing machine usually does not look good and may even impair the look of the room or the house. Some people ignore this aspect and do not care to clean the outside or top of the machine. Front load washing machines are the ones that suffer the most from this. Their plain top surface makes them a magnet for assorted stuff that keeps gathering on them. People forget that despite being bulky pieces of equipment, washing machines are delicate and require proper care, both in terms of their working abilities and looks. The tricks to keep the machine looking new are simple. Clean the top and sides of your machine with a glass cleaner so that it does not damage the finish. Maintaining the pre-installed factory finish is the best way you can keep your machine look bright for long. Also, keep machine covered when not in use and do not put any heavy stuff on top. This will prevent scratches from developing. Washing machines also gather residues from detergent spillage. Despite your efforts to use the best detergents or softeners in the market, their residue becomes sticky over time and start to smell bad. The best way to clean this sticky residue is to wipe it with a mild dishwashing cleaner. Also, do not forget to clean the inside of the drum with a damp cloth as it also builds lint, detergent and dirt residue over time. Do not close the door of your washing machine immediately after using it. This is one of the biggest blunders that most people make while using the machine. They think keeping the door open will build dirt and dust inside the machine. This is true to some extent but this does not mean that you have to close it immediately. Leaving the door open for 15 to 30 minutes removes the moisture and prevents mould and bacteria build up in your machine. This also properly dries up the tub and protects delicate parts from damage caused by the moisture. A good way to ensure the inside has no moisture is to wipe it off with a thick dry towel 15-30 minutes after the washing has ended and the leftover moisture has dried somewhat. 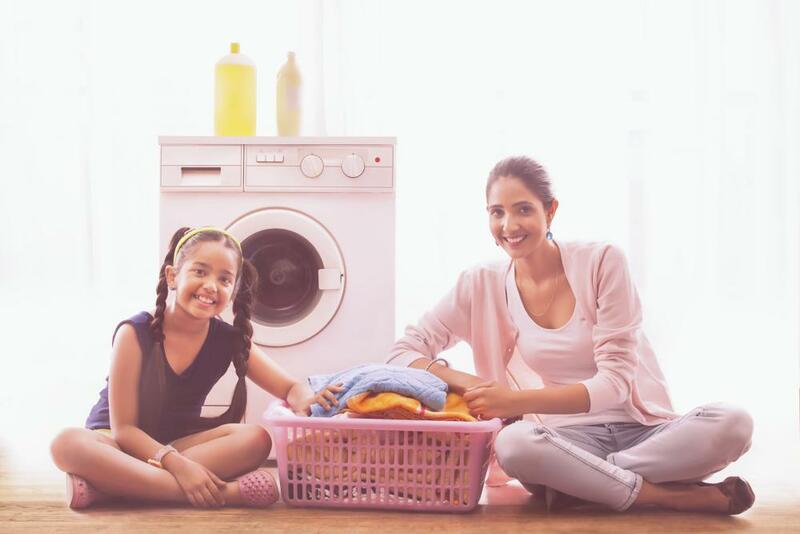 Automatic washing machines have separate containers for detergent and fabric softeners. These machines automatically mix these substances with water and pour them in the tub. This is a fairly clean process as you do not have to wait for the detergent to blend in the water and then put the clothes. However, prolonged use of these containers without proper cleaning makes them a refuge for bacteria and concentrated toxic elements. It builds up a transparent and sometimes green texture which feels grimy to touch. Imagine your clothes being washed in the extract of this harmful bacteria build up. This will contaminate your machine and affects the quality of cleaning as well. To get rid of such issues, you should clean the dispensers regularly. For a smooth flow of water both inwards and outwards of your machine, you should keep an eye on the hoses of the machine. Both semi-automatic and automatic washing machines have three hoses of which two are inlets and one is an outlet. Make sure the inlets are properly connected to the water source and have no cracks or leaks. This will prevent wastage of water as well. In addition, do not forget to check the condition of the outlet or drain hose from time to time. Since it takes out the dirty water, lint and micro fabric-particles often build up in the drain filter and block the pipe. In case of such an issue, try to unblock it by calling an expert technician from UrbanClap or completely replace the drain pipe with a new one. Semi-automatic washing machines have a lint filter inside the washing tub. This filter extracts the lint and other dirt particles from the washing process and collects it in a bag. You have to clean this filter once in a while too. This is because once the filter is full, it is not able to collect the debris which will continue to remain in the water. This debris will get stuck on your clothes and build up in the machine as well. This, in turn, will reduce the life your machine and negatively affect its performance. In some extreme cases, it can significantly damage the pulsator or agitator as well. You did not imagine that such a small thing may cost you so much, right? So, start cleaning your machine filter at least once a month. 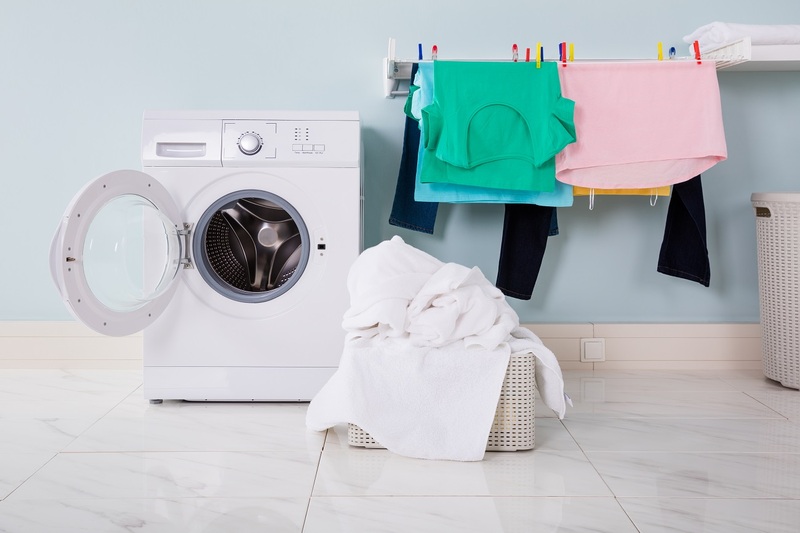 Your washing machine may have a high washing capacity and a powerful motor but it is still a delicate piece of equipment. It needs careful operation and proper care. You should not stuff clothes in the machine. It is not your travel bag where you can stuff more things than its capacity. Putting in more than the suggested amount of clothes means that the machine will not rotate properly and this will impact the circular movement of the drum. You will be stuck with partially cleaned clothes. In addition, it can damage the motor of your machine as well. Want to use your machine to its full capabilities? Put clothes as per its weight capacity and follow the instructions given in the manual. In the case of any doubt, call your brand’s customer support. The choice of a good washing machine detergent depends on your budget and specific washing needs. Some people prefer to use machine-specific detergents while the others use regular detergents. The point to remember is that the detergent you use must not be too harsh or heavily alkaline in nature, as this will damage both the machine parts and your clothes. So, choose the right washing detergent. I’m glad that you mention how it’s importation to regularly deep clean your washing machine in order to keep it efficient. You might also want to make sure you hire a professional for any necessary repairs. If you hire a professional, it could ensure that the right equipment and methods are used so that you can get the best results in order to keep your washing machine in good condition.